Case: Texas Department of Housing & Community Affairs, et al. v. Inclusive Communities Project, Inc., et al. Issue: Whether disparate impact claims are cognizable under the Fair Housing Act (FHA). Case Summary: The U.S. Supreme Court ruled that disparate impact claims may be alleged under the FHA. Inclusive Communities Project, Inc. (ICP) brought a disparate impact claim challenging the Texas Department of Housing and Community Affairs’ (TDHCA) distribution of affordable housing credits. ICP alleged that TDHCA’s distribution of credits caused segregated housing patterns by disproportionately approving tax credits for housing in predominantly black inner-city areas, but disproportionately denying tax credits in predominately white suburban neighborhoods. The district court ruled in favor of ICP and ordered TDHCA to include new selection criteria for distributing the housing credits. The Fifth Circuit affirmed that disparate impact claims are cognizable under the FHA, but on the merits, the Fifth Circuit reversed and remanded in light of the U.S. Department of Housing and Urban Development’s (HUD) disparate impact rule. The U.S. Supreme Court subsequently granted TDHCA’s certiorari petition asking the Court to decide whether disparate impact claims are cognizable under the FHA. In a 5-4 decision written by Justice Anthony Kennedy, the U.S. Supreme Court upheld the Fifth Circuit’s ruling that disparate impact claims are cognizable under the FHA. In reaching its decision, the Court relied on two prior cases, Griggs v. Duke Power Co. and Smith v. City of Jackson, which affirmed disparate impact claims under Title VII of the Civil Rights Act of 1964 and the Age Discrimination in Employment Act of 1967 (ADEA). The Court held that antidiscrimination laws should be interpreted to encompass disparate impact claims based upon their results-oriented language. In addition, the Court relied on the FHA’s legislative history when Congress ratified disparate impact claims in its 1988 Amendments. The Court also reiterated the limits of disparate impact. The Court explained that plaintiffs must specifically identify the policy that caused the racial disparity. The Court reasoned that disparate impact liability must be limited to artificial, arbitrary and unnecessary barriers to ensure a vibrant and dynamic free-enterprise system. Bottom Line: This decision ends the legal challenge to disparate impact under the FHA. Legislative relief is the only viable avenue for those looking to repeal the law or void the ruling. 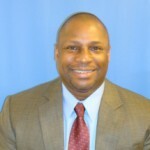 Thomas Pinder is senior vice president and senior counsel for litigation in the office of ABA's general counsel.